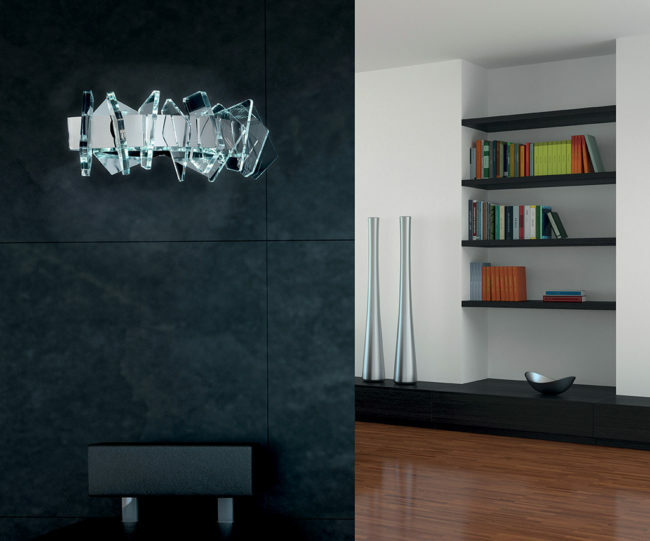 Patrizia Volpato with EOS shows that LEDs don’t mean just technology but also Design, Quality and Decoration. 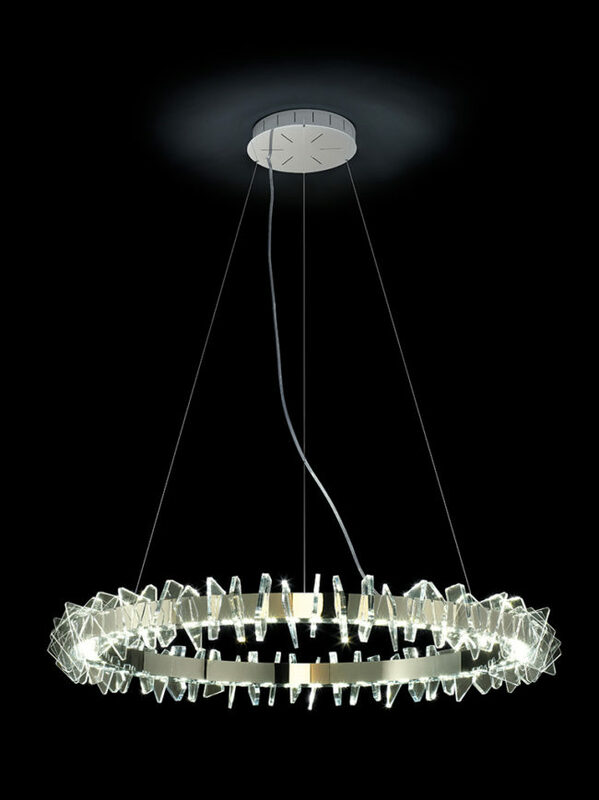 The modern idea is given by light strips that join into the ambience creating a dream atmosphere. 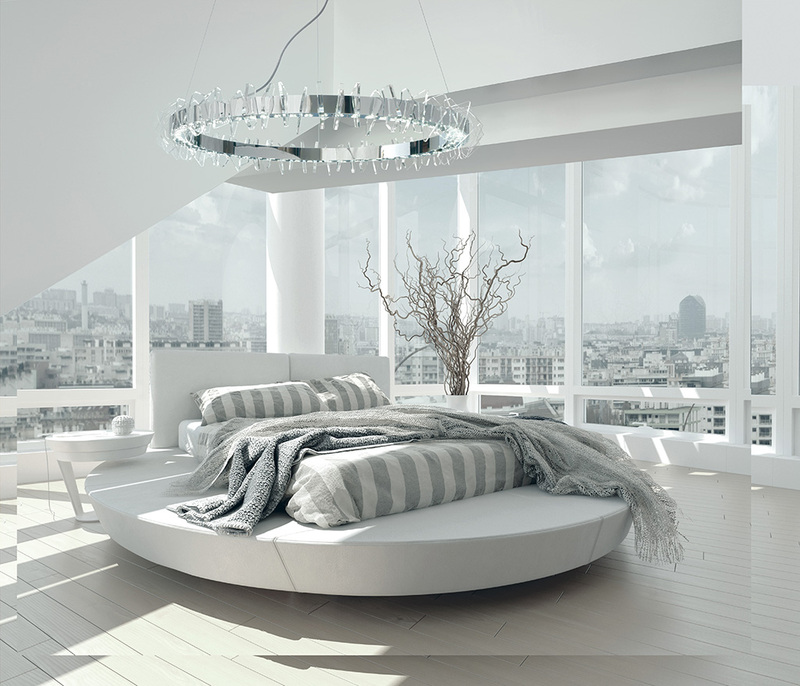 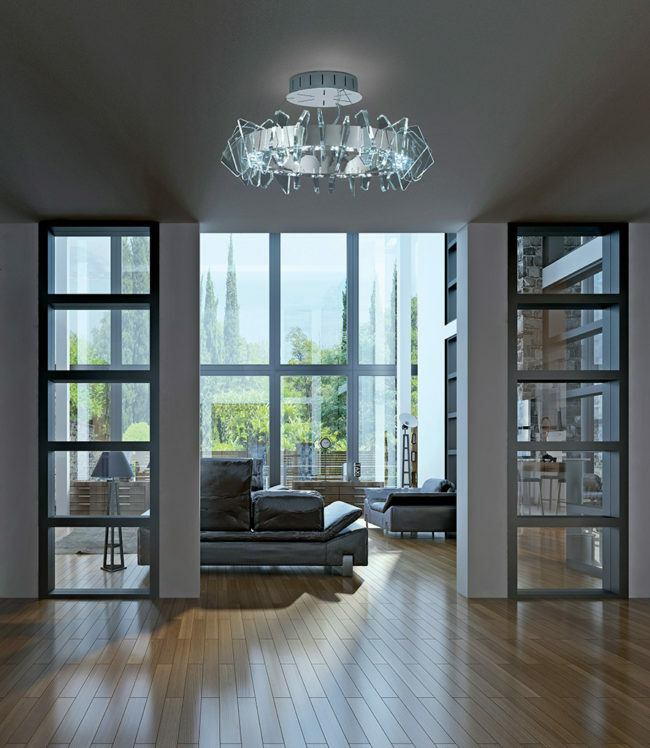 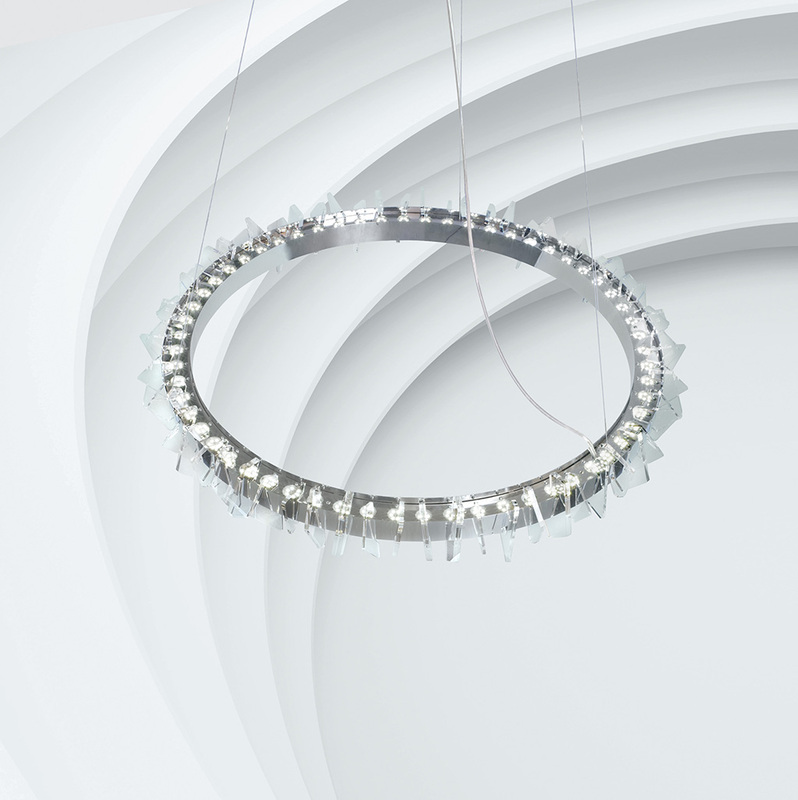 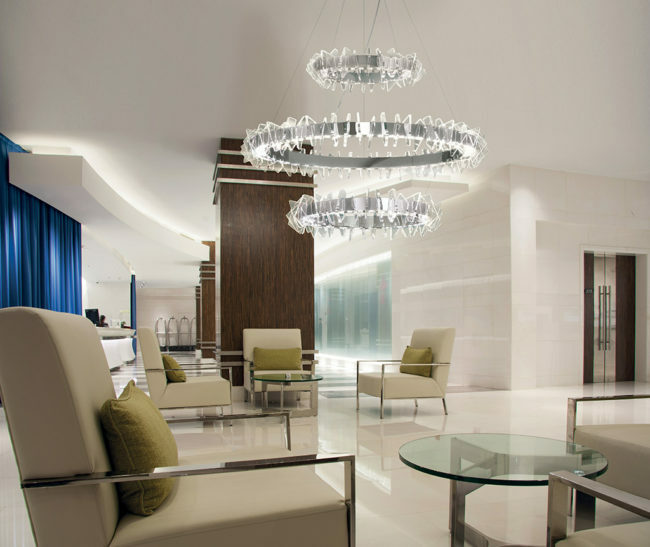 The abstract shapes enclose the lighting structure and reflect the light itself!